Need a refresher on how to play with children? Many of us have forgotten how! Set aside that small task you were about to tackle, and join in your children’s fun. Try some of the tips below to make playtime interactive, reflective, and a great learning experience. Observe – Watch the children to determine skill levels and favorite activities. Some children are very imaginative, vocal, and energetic in their play, while others are more content with quiet, low-key activities. Follow – Join in at the children’s level. Let the children be in control and determine the direction of play. Avoid steering them in directions that are of interest to you or that you recall from your childhood. 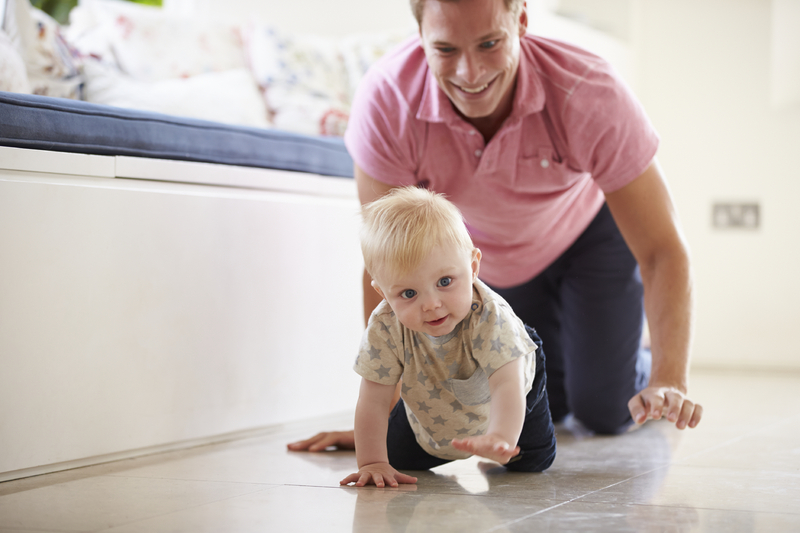 Play with Children – Sit on the floor and interact with them to give a message of importance to what they are doing. Avoid taking phone calls and turn the TV off in order to give your undivided attention. Be Creative – Create a playful atmosphere, provide a fun environment and materials, and look for new ways to use toys. Add New Things – New props, experiences, and materials generate interest. Many children have an abundance of toys, but play with only a select few. Rotate toys. Offer safe items you have around the house that may not be toys, but could certainly be used as props. Offer Assistance – Assist children in resolving conflicts and to ensure safe play. Teach them to deal with each other in acceptable ways. Have Fun! – Allow children to feel successful at what they are doing. Do not use playtime to test or stretch skills. Most children spend adequate amounts of time in structured settings. Often, what they need most is some unstructured playtime!